We have a number of tasks that we handled ourselves. The immediate focus was replacing one of our Furuno RD30 units. We have a number of these units and they are usually bullet proof. We have one unit on the fly-bridge, one in the owners cabin and several in the pilot house. 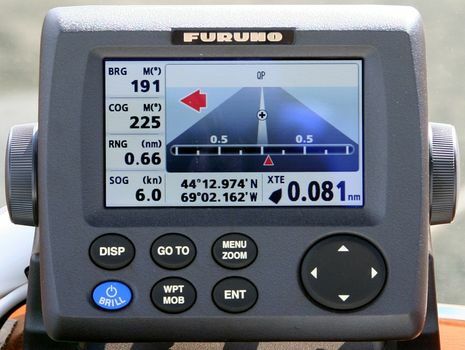 They are tied into a number of sensors and can show water temperature, water depth, wind speed and direction, boat speed, bearing, course and location, etc. 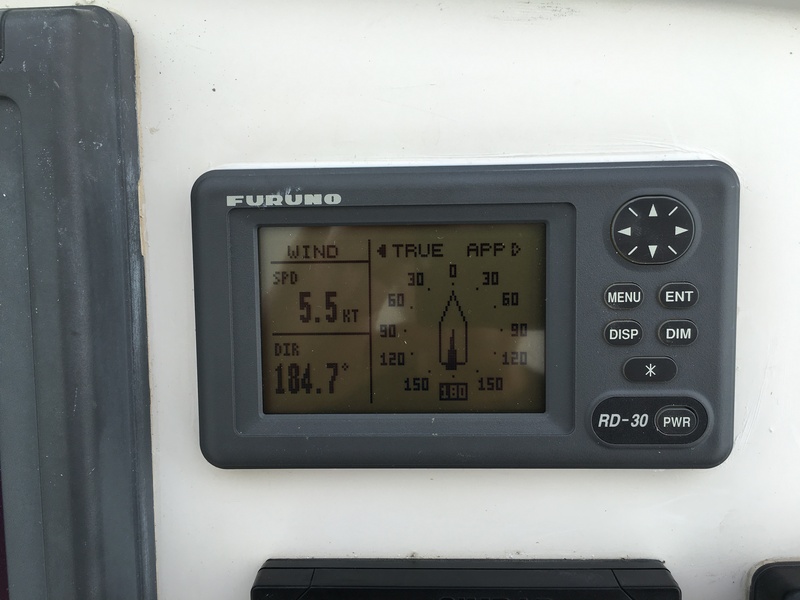 Our captain noticed that the display on the flybridge unit was beginning to get hinky, and soon we noticed that we had a water bubble in the middle of the screen. Time to replace. One BIG problem – Furuno no longer makes the RD30 units. 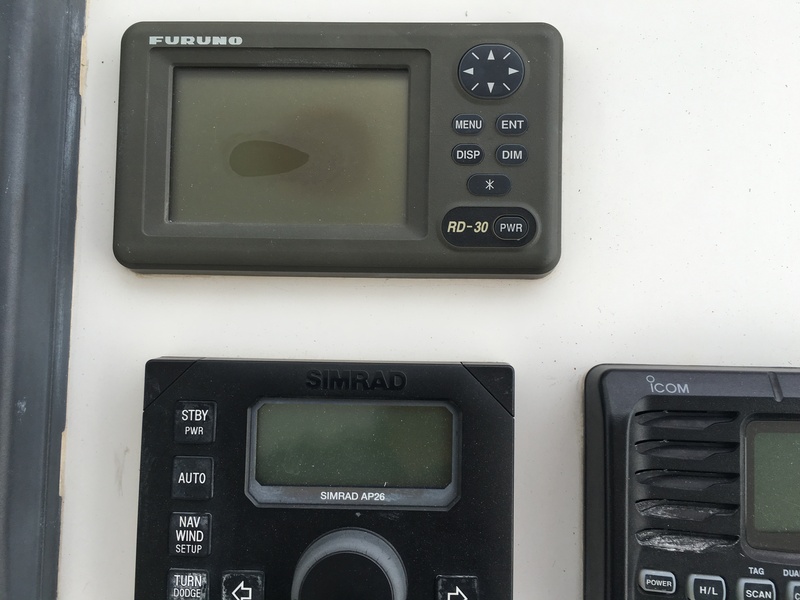 They have a new model, the RD33 which has some cool features and a color screen but has a slightly different wiring scheme and – the big problem – is a different size. 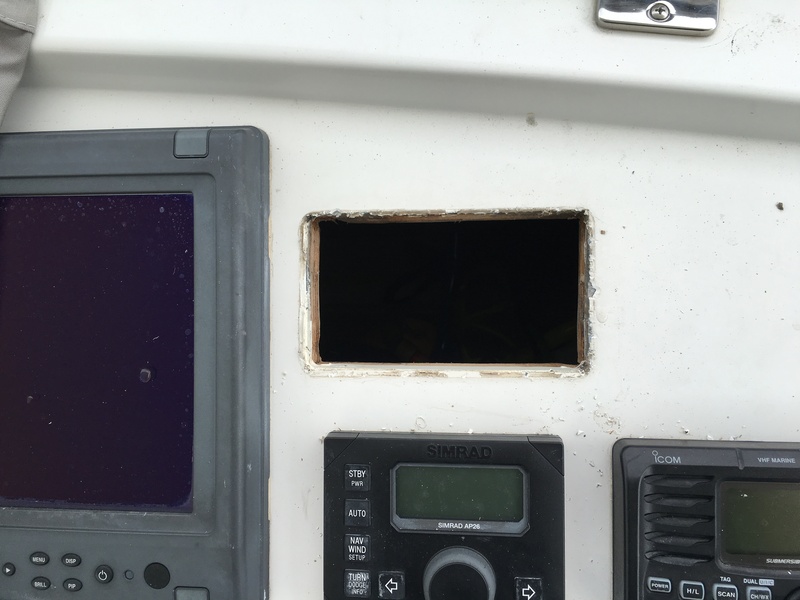 So the hole that have been carefully cut in the flybridge fiberglass dash would need to be redone. Not a project we wanted to tackle. So we began the search for a used unit. First stop, Ebay where we found a couple of options. We bid, we won, we paid (about half the price the RD30 units were listed at when they were new) and soon it arrived. First order of business was to test the unit, we plugged it into our network and it came to life and looked great. Next step was to remove the damaged one from the flybridge. 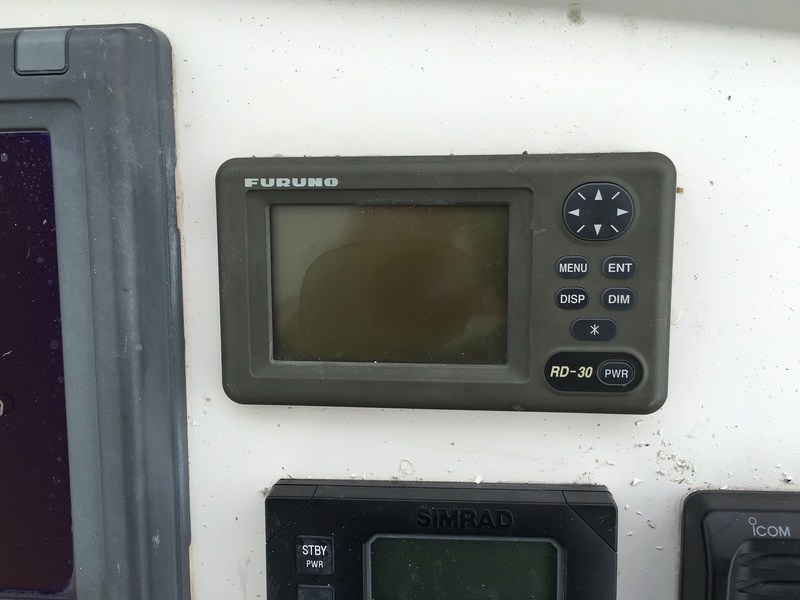 Furuno made a coupleof different kits to flush mount the unit but no sign that either kit was used to mount the device. We opened up one of the doors that allow access to the huge storage area under the flybridge dash and crawled inside to see if it was supported by an underdash mount. No luck, but while we were they we disconnected the plug from the back of the damaged unit. We huddled again and our captain decided the unit was likely placed in the tight fitting cutout with just some waterproof sealant. So we went to work, first cutting into the sealant with a sharp knife, then using a putty knife and a screw driver pried up the old unit. Sure enough, no mechanical connections to the dash. We cleaned up the opening, attached the network plug to the replacement unit, put down a new bead of sealant all around the opening and pressed the new unit into the cutout. Cleaned up the sealant, fired up the unit – Success. Another project off the list.